How Long Do Families Stay in a Home? Is it time for a move? The National Association of Realtors (NAR) keeps historic data on many aspects of homeownership. One of the data points that has changed dramatically is the median tenure of a family in a home. 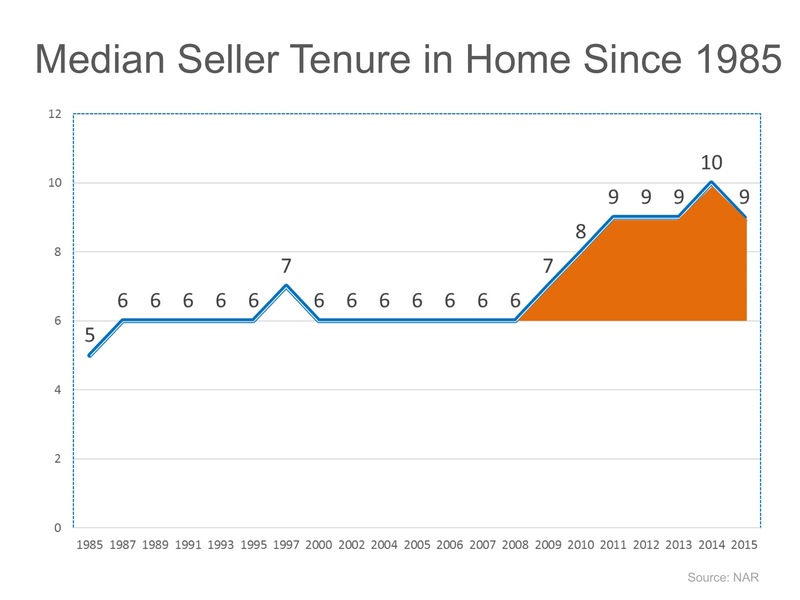 As the graph below shows, for over twenty years (1985-2008), the median tenure averaged exactly six years. However, since 2008, that average is almost nine years – an increase of almost 50%. The fall in home prices during the housing crisis left many homeowners in a negative equity situation (where their home was worth less than the mortgage on the property). The uncertainty of the economy made some homeowners much more fiscally conservative about making a move. However, with home prices rising dramatically over the last several years, over 90% of homes with a mortgage are now in a positive equity situation with 70% of them having at least 20% equity. And, with the economy coming back and wages starting to increase, many homeowners are in a much better financial situation than they were just a few short years ago. What does this mean for housing? Many believe that a large portion of homeowners are not in a house that is best for their current family circumstances. They could be baby boomers living in an empty, four-bedroom colonial, or a millennial couple planning to start a family that currently lives in a one-bedroom condo. These homeowners are ready to make a move. Since the lack of housing inventory is a major challenge in the current housing market, this could be great news. PreviousTidy up for the holidays and beyond. NextThink All Millennials Live in Their Parent’s Basement? Think Again! Sales at Highest Pace in 10 Years!